“If you’ve played one, you’ve played them all” is something someone could say about almost any puzzle game be it Tetris or Alleyway. I would say that Nonogram or Picross games would be in that same category. Does that mean that people can’t put a new spin on a classic formula? No it does not. While there isn’t much new added to the Picross formula here in Pictopix, does it still warrant a look? Yes, I believe it does. Let me break it down for you. This puzzle had me for so long, but eventually I got it. I was mostly through the 15×15’s before I could do it. Darn you logic not working for me! If you’re not familiar with what a Picross game is, it’s basically coloring with logic and math! (Even with an exclamation mark, it’s hard to make that sound exciting.) You’ll be looking at the numbers along two sides of a grid and you have to decide which squares to fill in and which to leave blank in order to solve the puzzle. Sometimes there’s a picture and sometimes it’s just a fun looking symbol and sometimes the creator is just making a fun pattern for the fun of it. The patterns range in size from 5×5 to 40×40 which I honestly haven’t done before. I’ve not done anything larger than a 25×25 so Pictopix has a bit more options to keep the love for Picross puzzle-love’n going for a while. To make your own puzzle, you’ll paint your picture with all of the color options available and then you’ll paint the puzzle on top of your imagine. I assume that you’d want to follow some form of pattern, but I guess you could just pick random squares as to not help other players out. That may be rude though. Some of the flair that Tomlab Games adds in Pictopix are things that are common in others, but done a little better here. The puzzles, when solved, end up being actual pictures of items done in color. It’s a small thing, but it’s not a Pico8 image, it’s decent pixel art with shading. There is also the ability to use your own creativity (or someone else’s…) and create and share your puzzles. There’s also a plethora of other Picross puzzles to potentially pick and play. (There is crap ton… the more the merrier though eh?) I can’t remember how filling in is done in other games, but Pictopix utilizes the left click for filling in squares and right-click for plopping X’s down and it’s a very smooth experience that really stood out in my mind. I’m not honestly sure how, but it felt great. However, the best thing about Pictopix has to be the music. It’s a nice jazzy set that, admittedly does get repetitive when I’m stuck on a puzzle, but when you’re working through them creates a very calming atmosphere. You can turn it up/down/off so it’s not really an issue, but it’s some of the best music in a Picross game I’ve heard. 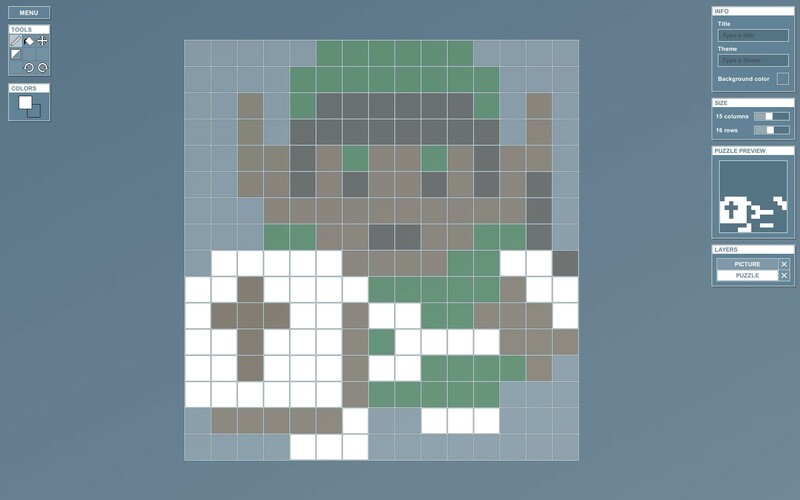 I love a good Picross game and Pictopix does not disappoint. Pictopix is simple since it’s a puzzle game, but with all of the little differences (the music, the color, the ability to use color while creating a puzzle), it is my new favorite Picross game on Steam. 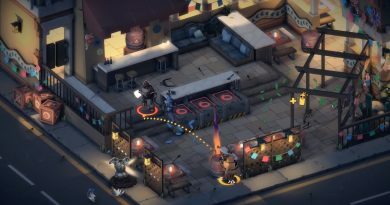 There are plenty of puzzles to keep you busy and with players making more, you’ll get your money’s worth easily. 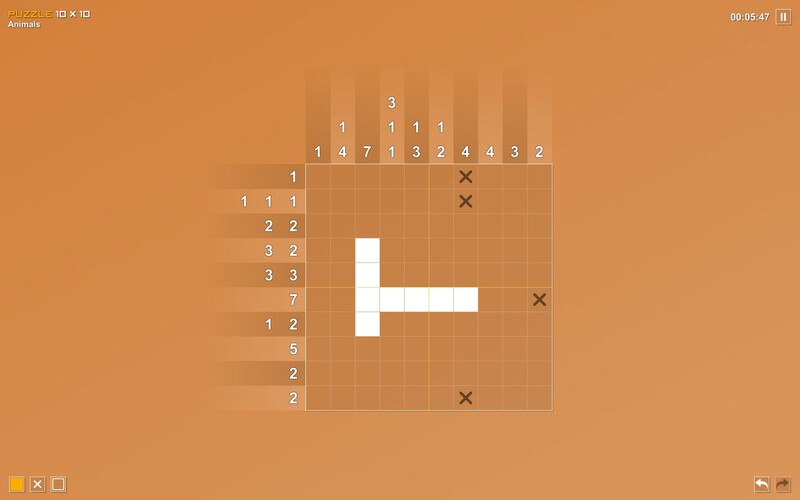 If this type of game intrigues you or if Picross games are your jam, Pictopix is a no-brainer.